I am new to the macaron obsession. It's only been about a year. But it was love at first bite. I love the crispy outside and chewy inside and the burst of flavor and creamy center. They are worth every penny because I truly savor and enjoy them. In a way that I just don't find with any other cookie. I was too busy to get myself a little treat on my actual birthday. But on Saturday, I popped into a local favorite, The Placid Baker, who sells a few flavors each day. And treated myself to a lunch of four little perfect macaroons: vanilla bean, lavender, lemon and mocha. 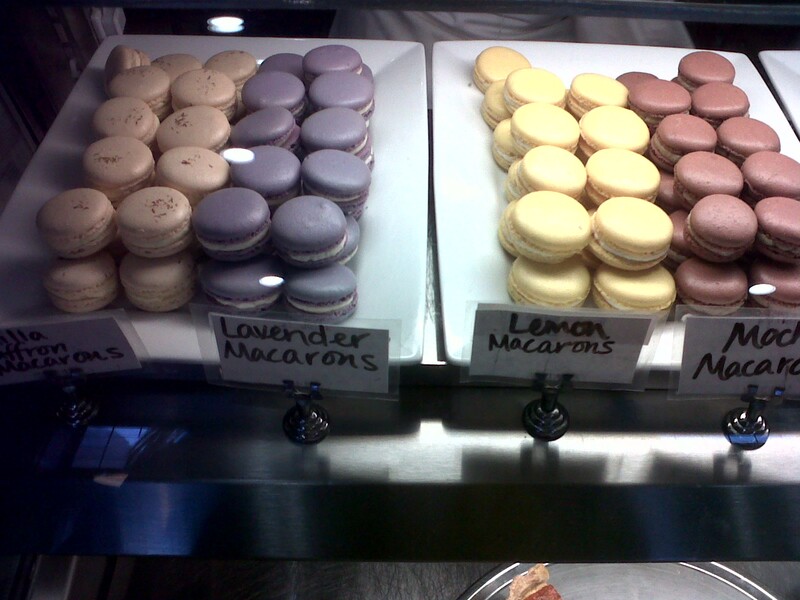 While they were all delightful, the lemon was my favorite. I hope to find some more fun flavors in the near future! great birthday treat! Macarons are my fave, I'm trying to get up the courage to attempt to make at home. !